With the 86th annual Academy Awards telecast upon us this Sunday night, it is time to take one final look-back at the year in film. I have made my position on the Oscars plenty clear in the past – they are almost always silly, often infuriating, and wholly reductive to celebrating the breadth and depth of a year’s cinematic accomplishments – and while I never write about awards season much, I do follow it with a sort of benign curiosity, and at least like to put out my official predictions when the time comes. This allows me to look smarter than I am, because even in a year as competitive as this, the Oscars are easy to predict, but more importantly, it allows me to talk about these films and these performances and this technical achievements of the previous year one last time. That is what I have done here. Going through 21 of the 24 categories (I do not predict in the Short Film fields, because I simply don’t cover these films during the year), I have provided a list of the Nominees, my prediction to win, and my preference to win if I got to pick the victors, along with some commentary and analysis. Overall, this is the least-annoying Oscars field I’ve seen in my time as a film critic – the Academy is set to favor the best or near-best movies this year in a way they usually don’t – and I am happy to see that many of my predictions actually do line up with who I would like to see win. So who knows? I could win up being reasonably happy come Sunday night. Her was my number one film of the year, and I still feel completely comfortable with that decision, but when it comes to an awards show like the Oscars, I think Gravity has to be the winner. This is the movie of 2013, a film that is both a technical landmark and a legitimate masterpiece of narrative and character-building, and it will be the film from this year that will resonate most through the ages, no questions asked. I think of all the times the Academy has missed out on the opportunity to reward that sort of major cinematic milestone – Citizen Kane, Star Wars, Pulp Fiction, just off the top of my head – and I feel it would be a shame if the same happened this year, especially when the award is so completely within Gravity’s grasp. Not that many of these other titles aren’t deserving – though an American Hustle win (the third most likely to take the prize, I think) would be a massive embarassment – but, come on...it’s Gravity. 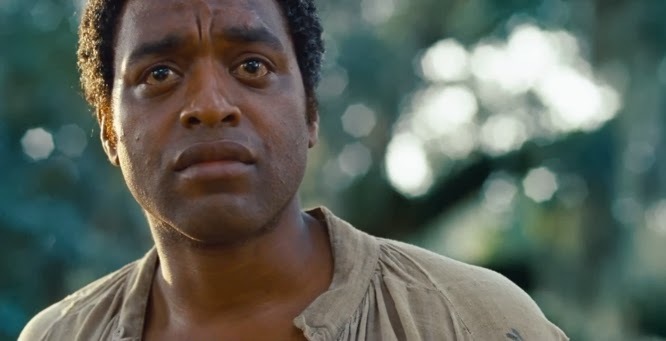 And I think with the level of momentum this film has had since October, including wins at the DGA and PGA (a tie with 12 Years a Slave in the case of the latter) over the last month, this film is the safest bet. It could go to 12 Years, and I would be perfectly happy with that. This is the tightest race for Best Picture in many years, but Gravity is where I put my money, and I am happy to finally be able to make a Best Picture prediction that satisfies me. No questions here. Anybody with even the slightest amount of film literacy can tell you how much of a director’s achievement Gravity is, and that includes the Academy. This award deservingly belongs to Cuarón, and it is one of the safest bets this year. If he loses, it would be a shock. This is a great category that is unfortunately missing the year’s best female performance – Brie Larson in Short Term 12 – and without her represented, it’s tough to pick who I want to win. Ultimately, I feel Sandra Bullock’s work hit me the hardest, though I am also a huge, huge fan of what Adams, Blanchett, and Dench did in their respective films. Regardless of what I feel, the award is unquestionably going to Cate Blanchett, who has burned a largely unimpeded trail of victory since the start of awards season. And she will be absolutely deserving, because what she does in Blue Jasmine is the best work of her consistently accomplished career. Another stupendous field, where I would be happy with any of these five taking the stage (though I feel Dern’s work in Nebraska is at least slightly overrated). Matthew McConaughey will be the man going home with the Oscar, given the sheer level of momentum he has going into Oscar Sunday (not just a million Precursor awards, but an acclaimed HBO series in True Detective that Academy members were likely cognizant of the entire voting period), and I think it will be a fine reward not only for Dallas Buyers Club, but for his incredible career resurgance as of late. Personally, I’d go with Leonardo DiCaprio, who commands the screen in The Wolf of Wall Street like a man possessed; it is going to be one of the main performanes he’s remembered for, and an Oscar would be well-earned. Another great, dense category, albeit one where I can immediately tell you who is at the bottom of my personal preference rankings. Jared Leto does very rich, compelling work in Dallas Buyers Club, but I never bought into it quite as much as the rest of the world, and these other four performances impressed me much more powerfully. Leto is nevertheless the undisputed frontrunner, and to bet against him would be foolish. Still, of all five actors, I was most taken with Michael Fassbender’s deeply, horrifyingly human portrait of a monster; it may be the trickiest of these five parts to pull off, and Fassbender hit it out of the park. Several of his major sequences (especially the long take where he confronts Solomon in the dead of night) are forever burned in my cinematic memory. Original Screenplay was a stronger category this year, but this is a great set of nominees, and while I would personally vote for Terence Winter’s epic work condensing the story of The Wolf of Wall Street into the perfect Martin Scorsese vehicle, John Ridley’s script for 12 Years a Slave is the most likely winner here, and that’s a great choice as well. It’s the film’s likeliest shot for a win, and given what a massive accomplishment the film is, I have no problem with giving it the Screenplay trophy. Philomena is also a possiblity to upset, given its widespread love within the Academy, and while that would be silly given its competition, I actually think that’s a very, very good script within its own right. This is a tough category to call. 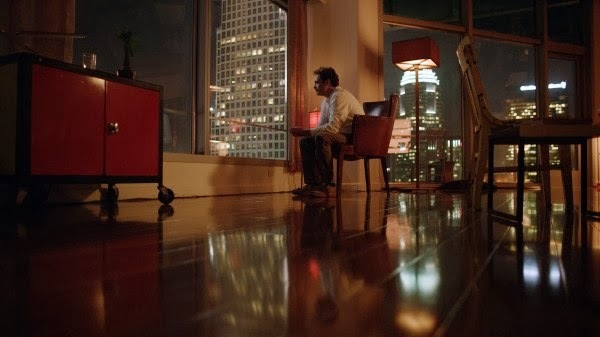 Her is far and away the best screenplay in the category – I love the film for many reasons, but the foundation of its brilliance undoubtedly lies in Spike Jonze’s beautiful, confessional writing – and while it could absolutely turn out to be the winner – the Academy likes the film enough to nominate it in several major categories, and it is the kind of imaginative, substantive screenplay this award often goes to – I can’t help but think American Hustle will be the spoiler. Which is disappointing to me, as all of my problems with American Hustle stem from the writing, which is narratively and thematically unfocused. But it is a flashy screenplay, in a movie that obviously won over an awful lot of voters, and with its Best Picture prospects having dwindled, this seems the likely inroad to victory. So it’s a tough call. I’m ultimately going to go with Her – which seems the better fit given this category’s history, and which is bolstered by a WGA win (which doesn’t always overlap with Oscars, but is at least a decent indicator of success) – but I won’t be at all surprised if American Hustle takes the prize. The Oscars fucked this category up much as they often do this year, with the obvious scandal over “Alone Yet Not Alone,” and some pretty major ommisions in songs like Ed Sheeran’s “I See Fire” for The Hobbit, or Lana Del Ray’s “Young and Beautiful” for The Great Gatsby. But let’s be real. This award always belonged to “Let it Go,” which is an absolutely terrific musical showstopper, as well as a song that has become a true cultural milestone since Frozen’s release. My problems with Frozen itself aside, I love “Let it Go,” and any other winner would be patently ridiculous. There’s a chance Pharrell Williams or U2 could spoil, given the exposure of their respective songs over the past month, but while the Academy often makes dumb decisions, overlooking “Let it Go” would be too enormous a miss to seriously contemplate. If it won, “Let it Go” would be one of the very best songs to ever win this category. If it loses, that’s the final, defintive nail in this erratic category’s coffin. Sigh. While 2013 was an awful year for American animation, we at least got the final film from Hayao Miyazaki, the world’s greatest living animator, and while The Wind Rises is not his best film, I do regard it as a masterwork, and one of the great films in the history of animation. It losing this category would be profoundly silly. But make no mistake...it will lose this category. 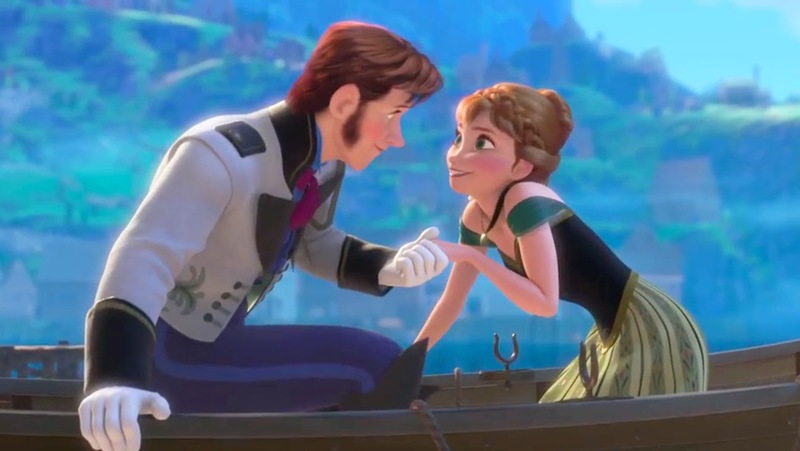 Frozen is widely adored and has the box-office power to coast to an easy win, and while I won’t find it an offensive winner – Frozen has a lot going for it, even though I felt the film ultimately gave until convention and genericism in the most disappointing of ways – it’s a stupid decision when compared to The Wind Rises. The Documentary Feature category is always a tough one to suss out, given how rarely this award goes to the critical or commercial favorite; now that the entire Academy votes in every category, I think you have to favor the crowd-pleaser of the lot, which is definitely 20 Feet From Stardom. And it is definitely a deserving accomplishment...until you consider it is up against The Act of Killing, one of the all-time great pieces of documentary filmmaking. And then you consider that another of the year’s very best documentaries, Stories We Tell (the best, in my opinion), wasn’t even nominated. And then you just throw up your hands in defeat and acquiece to the silliness of it all. I am not good at predicting this category, and never have been, so take anything I say with a grain of salt. But I think the momentum is in the corner of The Hunt, which comes from a respected filmmaker in Thomas Vinterberg, has been widely available through on-demand services for months, and is almost universally considered an impressive accomplishment. It would make the most sense for this film to be the victor. My pick if I had a ballot, The Broken Circle Breakdown, is probably too obscure to take the prize – Academy members got screener discs, but it never had an even semi-wide theatrical rollout, and I’ve only heard minimal discussion about it this awards season. What an awful mess of a category this is. We have one terrible score in Thomas Newman’s wretchedly saccharine work for Saving Mr. Banks, one default nomination for John Williams (who is a living God, but coasted here on endless Academy love), and a good score by Alexandre Desplat that is far from his most memorable work. Those three at the expense of Howard Shore’s phenomenal work on The Desolation of Smaug, Joe Hisaishi’s masterful minimalism on The Wind Rises, Ramin Djawadi’s blockbuster magic in Pacific Rim, Skrillex and Cliff Martinez’s brilliant techno-ambience in Spring Breakers, Jóhann Jóhannsson’s quietly menacing musical nightmare in Prisoners, and Hans Zimmer’s breathtaking triple-threat of Rush, 12 Years a Slave, and Man of Steel. And the list goes on. 2013 was a great year for movie scores, and the only two great ones represented here are Gravity and Her. Both would be very deserving winners, with Gravity being the obvious favorite to win (Arcade Fire’s more adventurous, subtly effecting work would be vote). But the entire category is such a farce that I can’t feel strongly about who will or should win one way or another. Four great (or, in the case of Nebraska, near-great) feats of cinematography, all of which are going to lose to technical powerhouse Gravity. And why not? 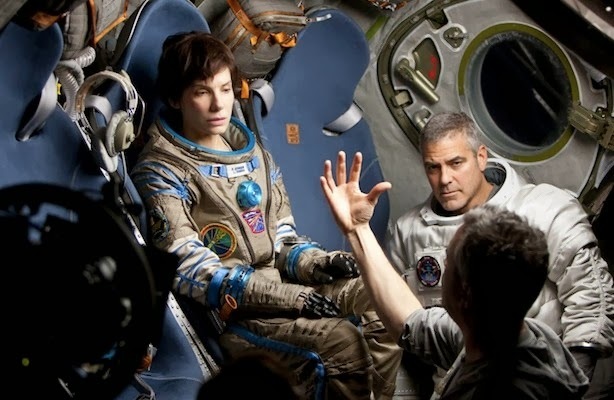 Emmanuel Lubezki, as far as I’m concerned, redefined the boundaries of the technical apparatus with his work here, and while I am head over heels in love with the imagery in Llewyn Davis and Prisoners, I cannot deny that Gravity is the major photographic accomplishment of 2013. The Oscars will agree; this is an easy category to predict. A lot of great work is represented here, but K.K. Barrett’s transcendent vision of future Los Angeles in Her towers over all of them, as far as I’m concerned. The Oscar voters will not agree. When in doubt, this category goes to the biggest, flashiest work, and like kittens to a bright, shiny light, the Academy will flock towards the candy-colored stylings of The Great Gatsby. To me, it’s the most superficial and least interesting work in the field, and if American Hustle or 12 Years a Slave snuck in from behind to win (which is possible), I’d be very happy indeed. Ultimately, the only ‘wrong’ answer here is the one most likely to win. Once again, the Oscars are silly. With voting open to the entire Academy after the nomination process now, there’s really no way Dallas Buyers Club can lose here. Its makeup work may be significantly less flashy than what Jackass and The Lone Ranger have to offer, but I cannot imagine the Academy at large choosing to vote for either of those two films, nor can I imagine the majority denying an easy chance to extend their obvious love for Dallas. That would be my pick to win here too, mostly by default given that Bad Grandpa flew under my radar and the old-age makeup in The Lone Ranger is embarassingly bad. Why The Desolation of Smaug, which lives and dies based on its incredible makeup and hairstyling, isn’t represented here is beyond me, and the same goes for the brilliant, giggle-inducing hairstyling of American Hustle. It’s funny. I would resent American Hustle winning any of the ‘big’ awards, but in several of these craft fields, it would be honestly be my favorite to win, including in categories where it wasn’t even nominated (e.g. hairstyling). The same goes here, given what incredible work Michael Wilkinson did costuming the cast, achieving not only period accuracy, but enhancing characterization and atmosphere every step of the way with his choice of clothing. But, again...The Great Gatsby is bright, shiny, glamorous, and expensive-looking, and that’s what this Category always leans towards. I have a hard time imagining it losing, though if it does, the likely beneficiary is 12 Years a Slave. Editing is actually the award most likely to predict Best Picture, if a Best Picture nominee wins, so if Gravity, American Hustle, or 12 Years a Slave take this prize, we can be reasonably certain of what name will come out of that final envelope. But I don’t think that’s going to happen this year. 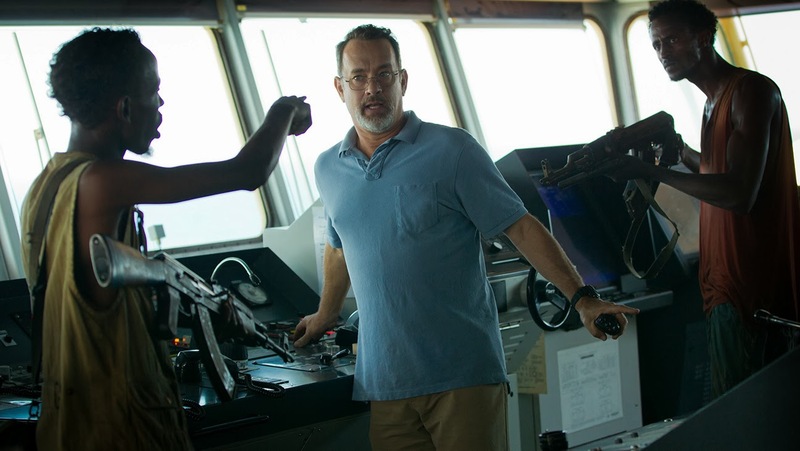 Captain Phillips (which is a Best Picture nominee, but in no way a serious contender) not only has the ACE award under its belt, but is a major and obvious feat of editorial magic; films that succeed so wildly in the tension department often do well in this category, and Captain Phillips has perhaps the greatest sustained stretch of nerve-racking cinematic pressure in recent film history. It is the obvious choice to win, but also the right one, as far as I’m concerned; no film this year lived and died so fiercly by virtue of its editing, and that’s not something the Academy will be able to ignore. Duh. This is such an immensely obvious award this year that I cannot even muster up my normal righteous indignance to complain about the vast number of missing nominees (Man of Steel? Pacific Rim? Looked over in favor of The Lone Ranger? WHAT?). 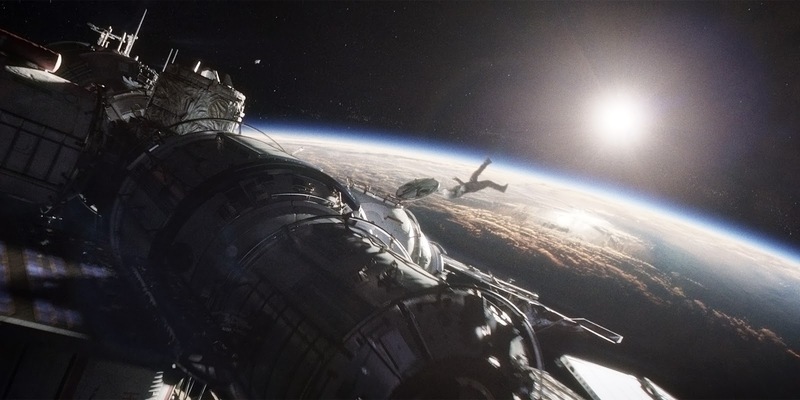 Gravity has perhaps the most impressive, awe-inspiring visual effects in film history, let alone 2013, and everybody knows it. There is absolutely no way it loses this award. It is the safest bet of the evening. And honestly, Sound Mixing isn’t that far behind in terms of predictability. 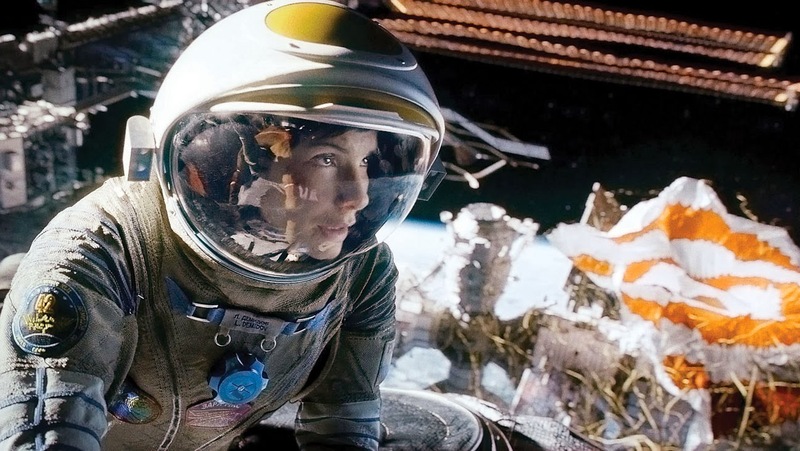 Oscar voters tend to vote for the films they feel are most technically impressive across the board in the Sound categories, and Gravity is too enticing to overlook. And I have no problem with that, because while I could be contrarian and favor Inside Llewyn Davis or The Hobbit for their also-incredible (albeit very different) feats of sound mixing, Gravity was frighteningly immersive, and deserves to win this category as much as it does Cinematography or VFX. Sound Editing is a tougher category to analyze, in part because most people don’t know the different between the two (Sound Editing is the assembly and arrangement of aural components; Sound Mixing involves the way these components interact and are balanced together). Oscar voters most certainly don’t, and typically throw both these awards to the same film. So while Lone Survivor or All is Lost could spoil here, I think Gravity likely has this one wrapped up as well. I feel the brilliance of Gravity’s sound design comes most clearly in the Mixing field, so I would give this one to The Hobbit, which features an absolutely dazzling array of sound effects that do as much as any visual element in bringing the world of Middle Earth to life. And that’s it! Those are my predictions – what are yours? Come back Sunday night for my thoughts on the winners, and to check back in with how accurate my predictions were. It's somewhat of a shame that John Williams has becomes no more than a place-holder as a nominee in the Best Original Score category for the past 20 years. It's nice that the Academy is honoring his accomplishments, but if he has zero chance of winning the Oscar, I'm sure even Mr. Williams would want more up-and-coming composers to get their shot. If anything, an Academy Award nomination looks great on a resume.